The exact origin of St. Mary’s is unknown, but is likely to be around 1000 – Aumericus de Harcourt is the first recorded priest, in 1204. 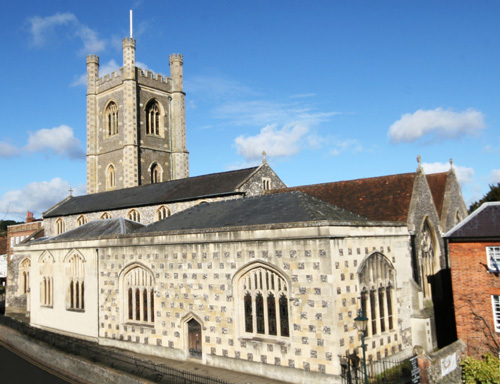 The present structure was almost certainly pre-dated by earlier buildings, but the first recorded reference is a charter of 1272 granting an indulgence “to all contributors to the building or the repairing of the church at Henley”. St. Mary’s is basically a 13th century building, but was enlarged and remodelled in the 15th century and again in the 19th century, so the building history is hard to decipher. The 13th century church consisted of a sanctuary (chancel), nave, aisles and probably transepts. Externally there is no remnant of this church, and the Early English style of the west doorway is, in fact, Victorian.